Smart Storage Technologies (SST) specializes in Design, supply and installation of commercial and industrial storage solutions meeting the needs of companies, large and small throughout the country. Based in Peenya-Bangalore, we are centrally placed and offer very competitively priced new products along with options for the equipment (Material Handling equipments) as required. 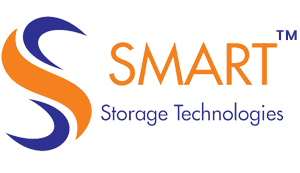 At the Smart Storage Technologies we can offer full project planning from conception to completion, undertaking all aspects of design and consultancy meeting all current regulations. Our product range is comprehensive - Pallet Racking, Shelving, Mezzanine Floors, Mesh Cage bin for child part storage along with most associated handling and industrial equipment. Pallet Racking provides your warehousing teams with unrestricted access to all your pallets at all times.The system delivers versatility. 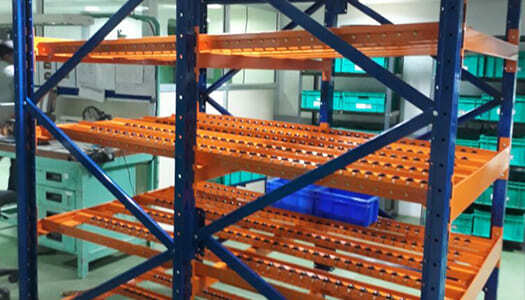 Heavy duty shelving system is designed for storing medium and heavy goods. It is a safe and adaptable system and easy to adjust as per the changing requirements. Smart Storage Technologies is a leading provider of quality mezzanine floors. We help you achieve that extra space your business needs . Mobile storage systems (Compactors) are moveable filing cabinets mounted on a track way. These specialized office furniture units. 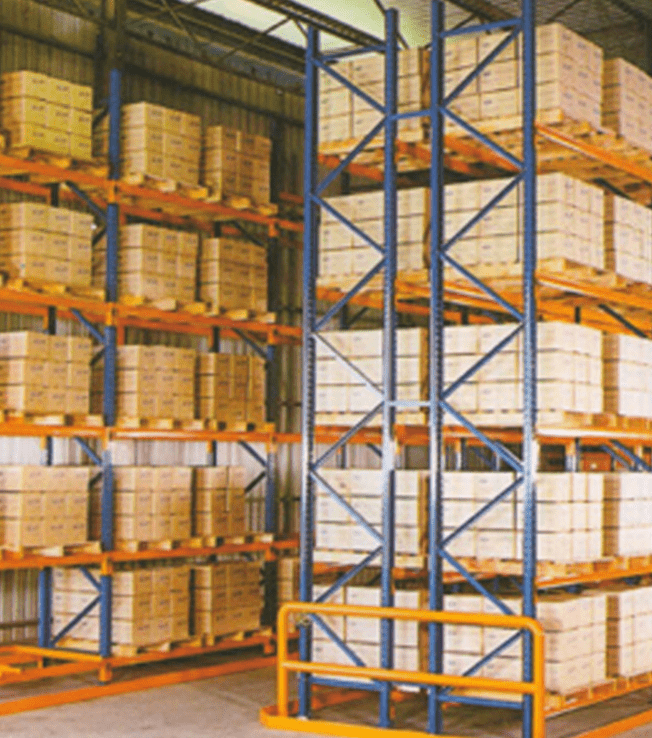 SST Drive-in racking is ideal for storing large quantities of the same type of goods. Your existing space can be used up to 90% more effective. These Racks are Light Duty Storage System. Fabricated & thereafter the sheets are systematically tested, degreased, de-rusted and chemically treated. SST Carton flow is a vital part in the supply chain for components at assembly lines and conveyer belt lines.A picking station is constructed of a rack supplied .